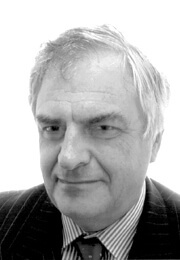 With over three decades of experience in the European institutions and the European Commission’s Legal Service, Julian Currall has been involved in leading cases in several areas including the internal market, social affairs, competition law and above all European Civil Service law. He was an agent in over 1300 cases in EU courts. Julian Currall was also Director and Principal Legal Adviser in charge of the European Civil Service Law team in the Commission’s Legal Service. After completing his Bar training, he was a member of the UK Government Legal Service for several years, before joining the European Commission. Julian Currall is one of the founding members of the European Stability Mechanism Administrative Tribunal (ESMAT), 2014-2017. He is a frequent contributor to conferences on EU law, and is the author of contributions to standard works on EU law and of many articles. He was a Visiting Professor in competition law at Fordham University in New York. He obtained his law degree from Oxford University and was called to the Bar of England and Wales.